Every month we give away a prize to the reader who submits the best owner review. Over the course of June we had scores of readers write to praise or criticise their own cars. We’ve read through all of the June reviews and picked out the best five across honestjohn.co.uk, Honest John Vans and Honest John Classics. The best of the lot for June 2014 wins an iPad Mini. For the best reader review in July we're giving away another iPad Mini, so if you want to be in with a chance of winning head to the owners review section and submit yours now. This van review covers all the good and bad points about the Dispatch. The owner praises the six speed gearbox and the fuel economy, but is less positive about the ride quality and the problematic anti-roll bar bushes. The quality of the seat and the braking performance is also criticised – even though the owner has had the brake system overhauled. JFBBlackbird2006 gives the Dispatch an overall score of three. ‘Tuckshop’ gave his Toyota Auris SR diesel an overall rating of four out of five. His review is long and detailed, covering all the important points from practicality and performance to long term reliability. Tuckshop draws attention to a leaky tail light unit, but otherwise praises the reliability of the Auris. 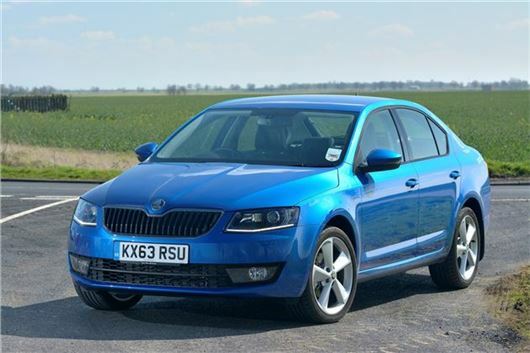 The review goes into detail on all the important points, including performance, practicality and reliability, concluding “It's early days, but I am very pleased with most aspects of the Octavia.” Click here for the full review. Jayemm’s detailed review impressed us the most from more than 80 owner review submissions for June, so an iPad Mini is on its way. We’re giving away another iPad Mini for the best review submitted in July, so click here to write yours.